Listen at this link, and subscribe FOR FREE in iTunes and never miss an episode again! Stalk bears and run around like Pacman on steroids! 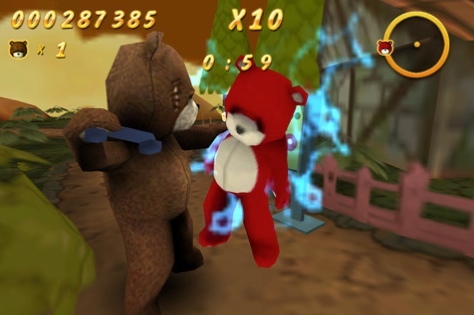 Naughty Bear is a fun, exhilarating game that reminds me of PacMan (yet on steroids with an attitude and humor, and NOT for kids!) Love the British accent! This entry was posted in AppMinute Podcast and tagged in iOS, Naughty Bear, PacMan.